By default, allow anyone to join reviews after creation – sets the default state of the Allow anyone to join checkbox on the 'Choosing reviewers' screen. Users – set the individual users to whom new reviews will be assigned by default. 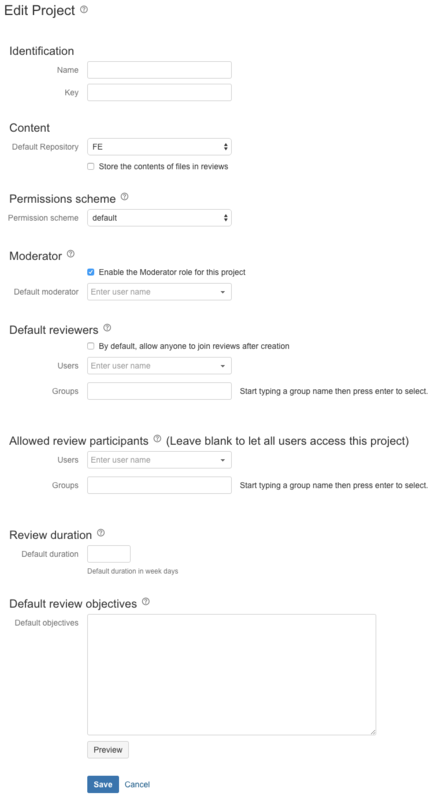 Groups – set the groups to which new reviews will be assigned by default. Allowed Review Participants Use Users and Groups to restrict who can have a role (author/creator/moderator/reviewer) in this project's reviews. These users will be the only ones whose names appear when a review is assigned. Leave these fields blank to allow all users to have access.